As the electric car maker says it will report its first profit ever, it also announces that it will scrap its $50,000 entry-level Model S.
Tesla Motors is expecting to report its first-ever quarterly profit after sales of its all-electric Model S exceeded expectations. The announcement about the just-ended first quarter pushed Tesla Motors (TSLA) shares nearly 16% higher. "There have been many car startups over the past several decades, but profitability is what makes a company real," co-founder and CEO Elon Musk said in a late Sunday statement. "Tesla is here to stay and keep fighting for the electric car revolution." 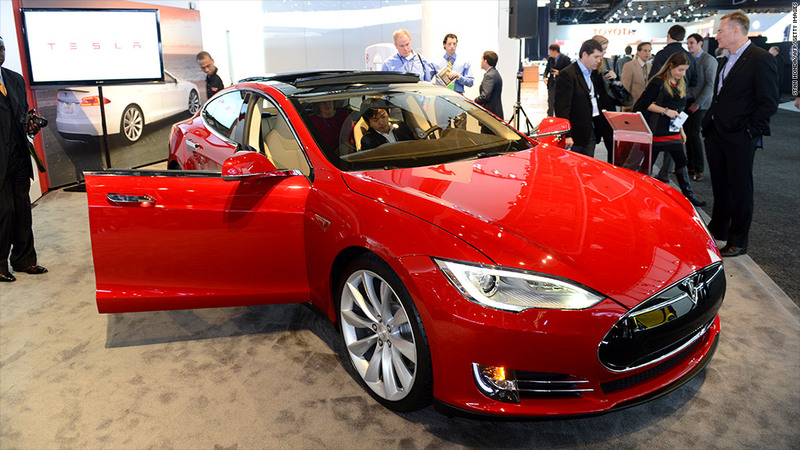 The company expected to sell 4,500 units of the Model S in the quarter. But sales surpassed the 4,750-unit mark this weekend. In response, the company amended its first-quarter guidance. But the company might have even bigger news in store for Tuesday. In a late night tweet, Musk alluded to an announcement this week that will be "arguably more important." The profitable quarter would follow a disappointing final three months of 2012, when Tesla reported a $75 million loss. Tesla posted $306 million in sales. The Model S is a full-size, four-door luxury sports sedan. It was unveiled in 2009, but did not become publicly available until last year. So far, the company has sold about 10,000 electric cars to customers in 31 countries. The weekend's announcement also came with news that Tesla has decided to scrap production of its entry-level model, which sold for a base price of $59,900. It was equipped the smallest battery, a 40-kilowatt hour version that would deliver a range of 160 miles. Instead, the company is sticking with the larger 60 kilowatt hour battery pack option, with a range is closer to 230 miles. That model sells for $62,400 after a $7,500 federal tax credit. The company explained that only 4% of customers chose the version with the smaller battery, not enough to justify production. In the announcement, CEO Musk also thanked customers for continued, "passionate support." 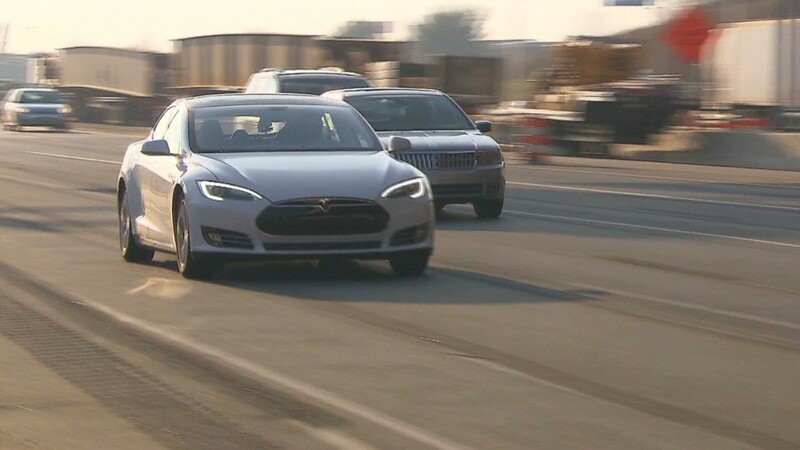 Those that bought into the Model S in recent months did so even after the car received a scathing review from the New York Times, one that Tesla accused of being full of lies. Still, the car has received acclaim elsewhere, winning "Car of the Year" honors from both Motor Trend and Automobile Magazine.